Created by Jackson Burke, this mesmerizing font is known for its earthy naturalism. Its rustic appeal is appreciated by all and sundry. Trade Gothic is a hot favourite among calligraphy experts these days. It is often seen in the field of advertising and multimedia. 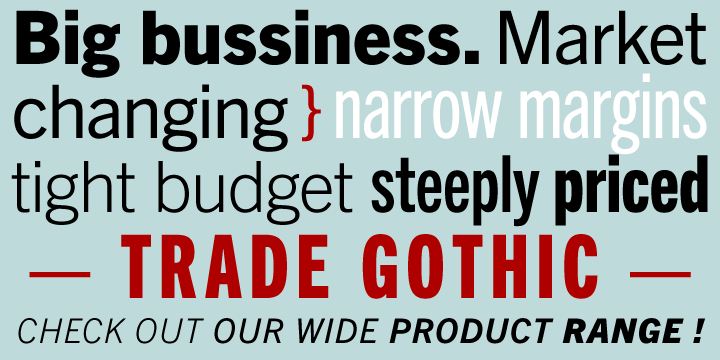 Trade Gothic is used in conjunction with roman text fonts. The condensed version is widely accepted in the newspaper industry to prepare impressives headlines.